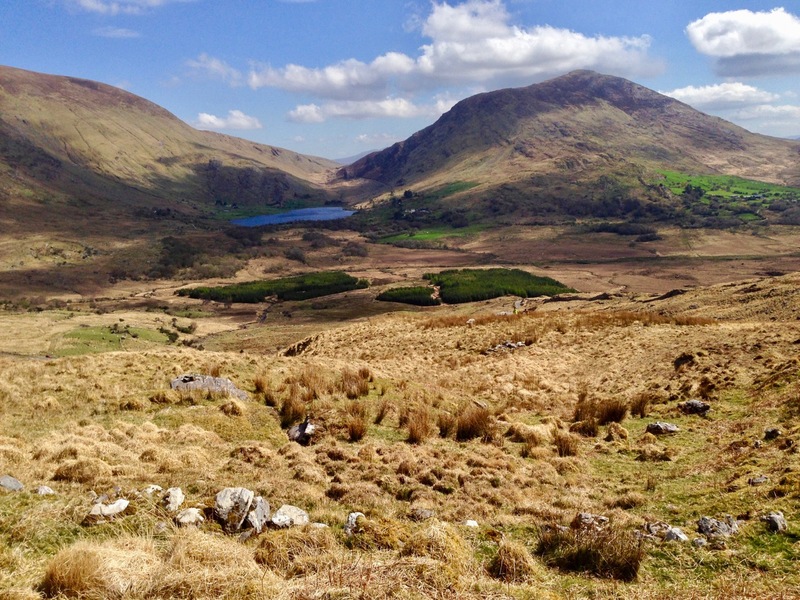 Three years ago Finola and I both wrote posts about a remote valley in the Kerry hills, north of Sneem, where some iconic examples of Irish Rock Art can be found: Derrynablaha Expedition by Finola, and my own Glen of Ghosts. I think it’s time to revisit this hauntingly beautiful place, and its ancient carved stones which could date back 5,000 years, to Neolithic times. When Finola visited the valley in 1972 and 1973 she explored and recorded 23 marked stones, all within the townland of Derrynablaha: these were illustrated in her UCC thesis The Rock Art of Cork and Kerry. Between 1986 and 1996 The Iveragh Peninsula Archaeological Survey undertook further detailed research, resulting in a comprehensive volume published by Cork University Press: this contains a 30 page section on Rock Art and includes many of Finola’s drawings. The book lists 26 known examples, now, in Derrynablaha with a further 7 stones in the adjacent townland of Derreeny. 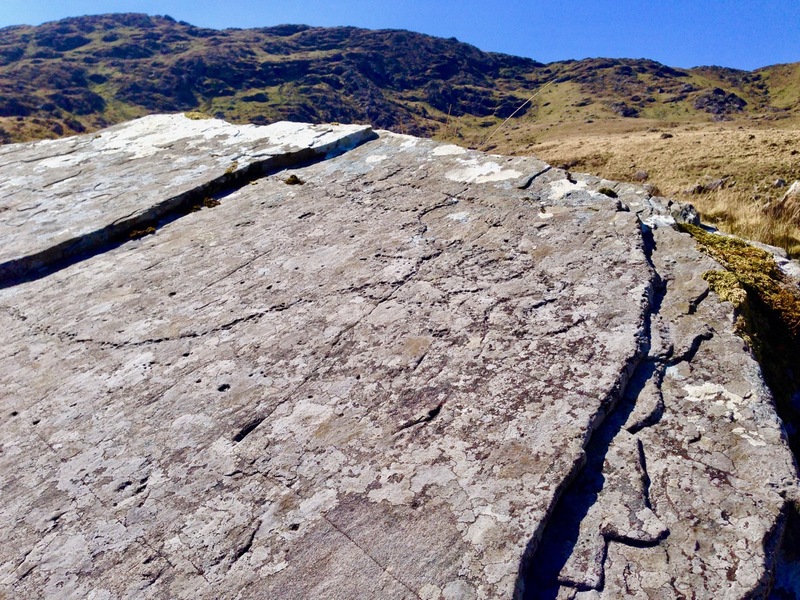 My introduction to prehistoric Irish Rock Art came in the early 1990s when I first visited West Cork to look at a piece of land which my friends Danny and Gill had purchased, with a view to building themselves a house: I was to be the designer. 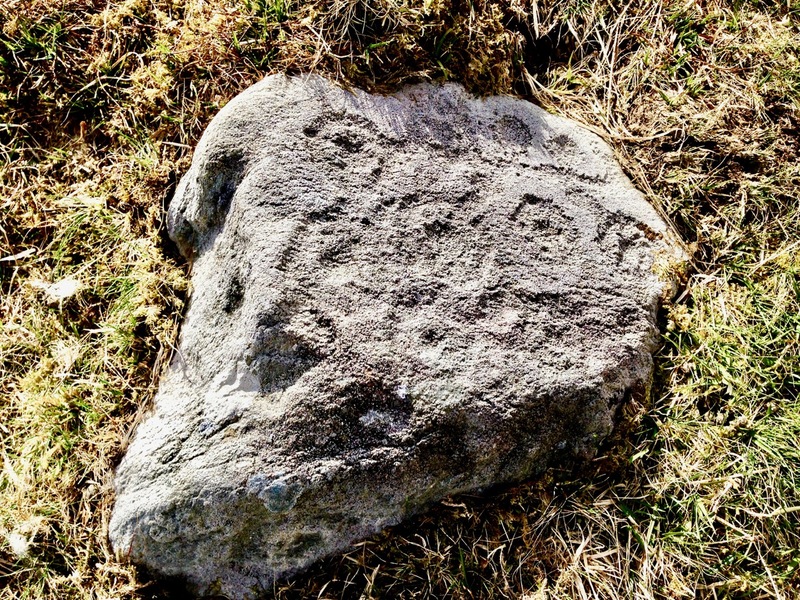 We walked the 5 acre site at Ballybane West and discovered a large, flat outcrop of rock some 30 metres long by 10 metres wide, the surface of which was covered with strange carved motifs. These intrigued and occupied me for many years. Eventually I made contact with the Department of Archaeology at University College Cork and unearthed Finola’s thesis. 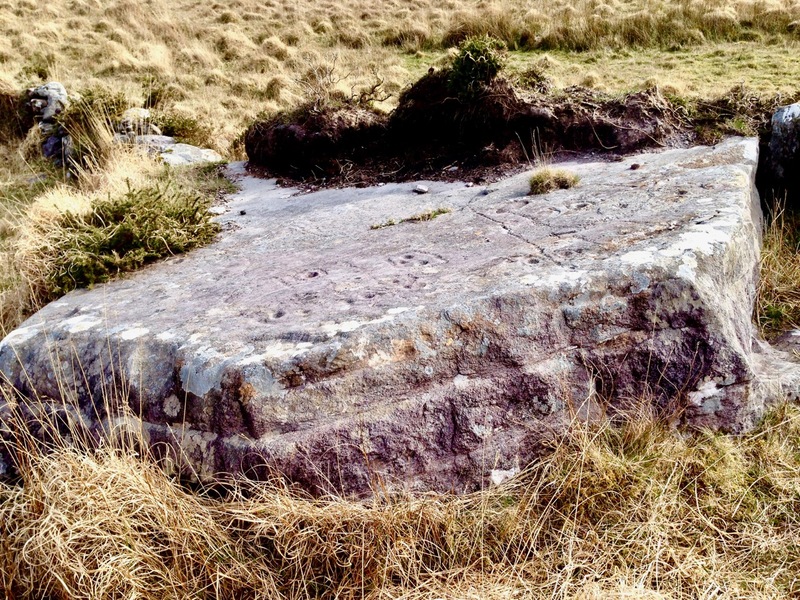 Finola had visited ‘Danny’s Rock’ during her explorations: she and I have just completed a comprehensive article on Rock Art in the environs of Ballybane West for a forthcoming edition of the Journal of Bantry Historical Society, due to be launched on 10 May. 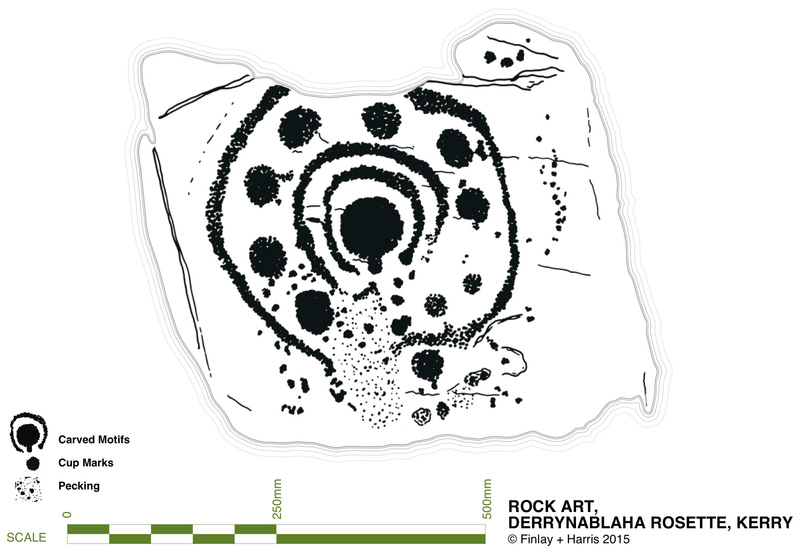 Because of the number of pieces of Rock Art at Derrynablaha, as recorded by Finola, I set out to visit the site and was fortunate, I think, to locate several of the pieces there: they are hard to find. My most significant impression of the place was its isolation and loneliness: when Finola was there decades before, the O’Sullivan house was occupied – a family home and working farm – now it was a ruin returning to nature. 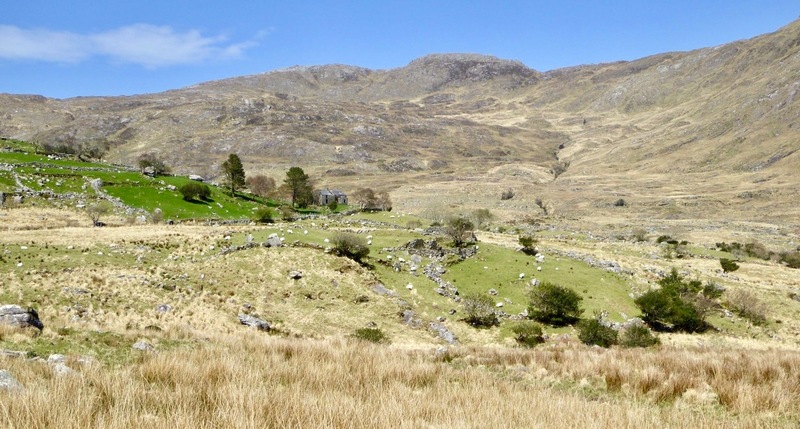 No one lives in that valley today: it is home to sheep and eagles. 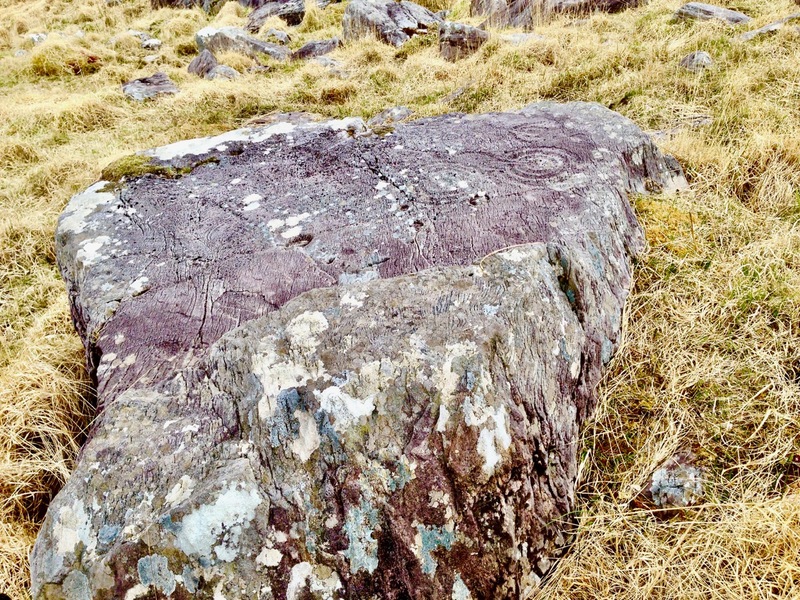 The most iconic piece of Rock Art in Derrynablaha is high up on the slopes of a mountain: there is no path, and the trek is across bogs, boulders and streams. 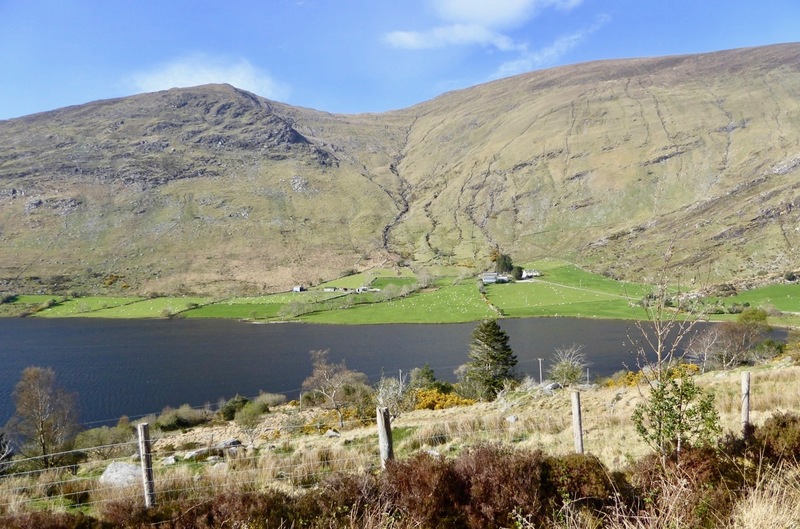 Also remember that all the land is private – farmed now by another O’Sullivan from a neighbouring valley – and permission has to be sought in advance of any attempt to visit. Strict rules apply, understandably, to the use of gates and fences and no dogs will be permitted. The iconic piece is probably Ireland’s most important. When you stand up there, on a good day, you can see to distant horizons and take in outstanding views: time for reflection, perhaps, on what inspired our forebears to create such panels in these places – was it where they lived? Or did they assemble there for celebrations? The mountainside seems to present a natural platform here, with the carved rocks a central focal point. The work involved in carving these motifs would have been significant and time-consuming – they had only stone tools. 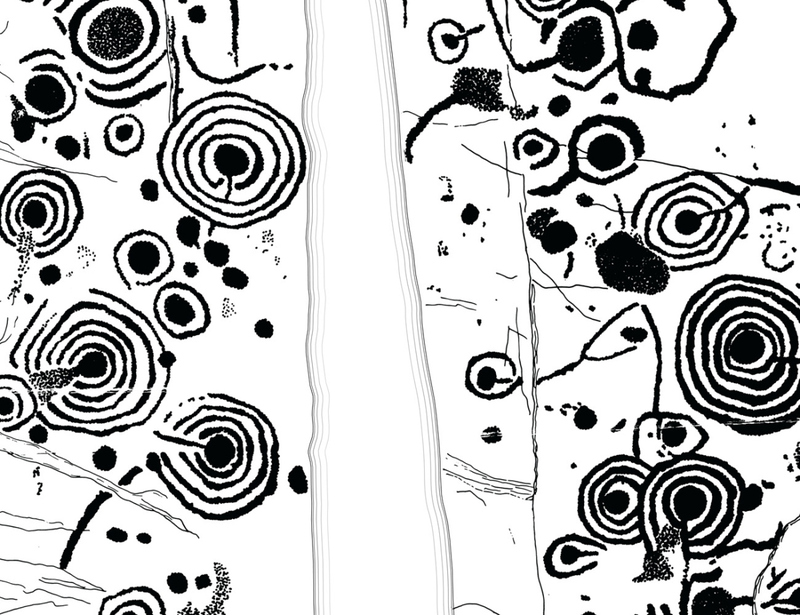 When we give talks about Rock Art we ask a question: Is it art? 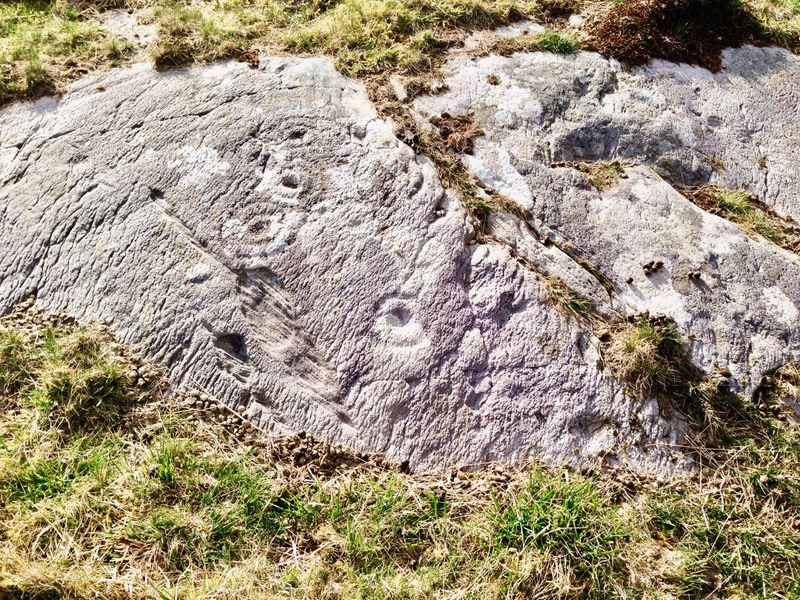 Some of it is certainly pleasing to the eye – the iconic Derrynablaha carvings are. But they also appear random, as though new carvings have been squeezed in amongst older ones: maybe the proliferation of motifs – or the number of carvers involved – was more important than any particular visual effect or relationship. We don’t ever try to answer that question, nor guess meanings for things we can never know. It’s enough – for me, at least – to experience these ‘footprints’ of former souls in such wild places. We go far out of our way to look for Rock Art. It would take more than a lifetime to see every piece in Ireland. Some would argue that such a pursuit would be pointless – seen one, seen them all. It is true that the motifs are similar, although variable, across Rock Art panels, not only in Ireland, but in Britain and on continental Europe. 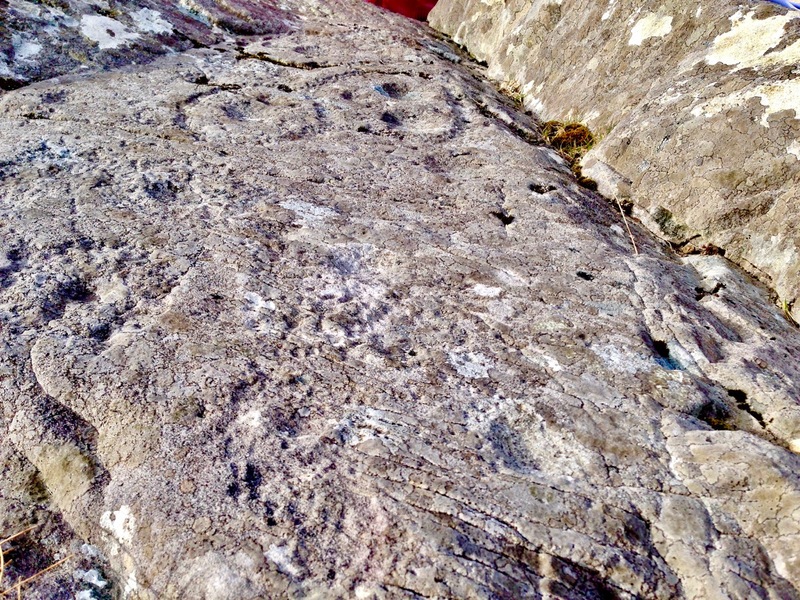 That in itself is remarkable: 5,000 years ago humankind was making identical marks on rock surfaces all over its world. For me, however, it’s not really the motifs – spectacular though many of them are. It’s the places that they mark which are meaningful. Rock Art took me to the mountainside in that lonely Kerry glen and showed me a most incredible view across townlands and counties: I see it as inspiration, relevant as much in the 21st century of this struggling world as it was, perhaps, thousands of years ago, when the same world was a little bit newer. 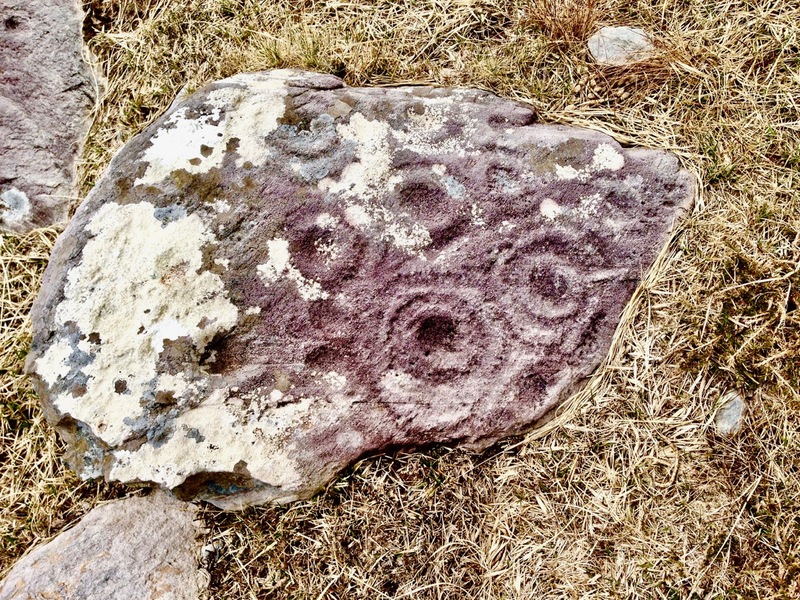 This entry was posted in Archaeology, Irish History, Irish Landscape, Kerry, Rock Art, West Cork Blog and tagged Ballybane West Rock Art, Bantry Historical Society, Danny McCormack, Derreeny, Derrynablaha, Finola Finlay Rock Art Drawings, Irish rock art, Rock art, University College Cork. Bookmark the permalink. 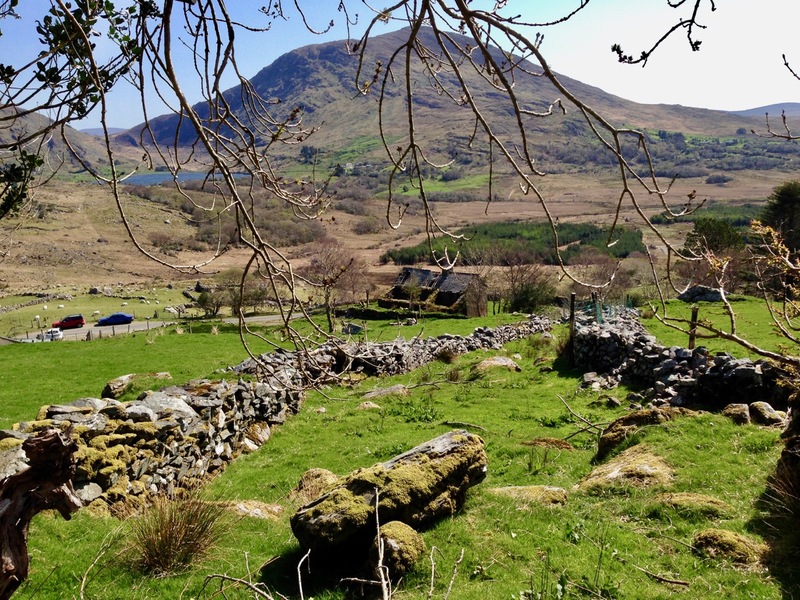 Great photos of Derrynablaha and the stones! You put into words just what I feel about trekking out to remote locations to find rock art, and taking in the location as well as the carvings. Thank you! It’s good to share thoughts. Reacting with awe – This compilation and overview touches me deeply. GREAT photographs throughout and isn’t Derrynablaha just the most wonderful name for a wonderful place. On my bucket list. Now I really must go to bed. Been racking my brains why anyone would want to drill holes in headstones (Finola’s blog Ferns tonight) but can’t come up with a credible solution ! Thank you Julian – as always – for reading us! 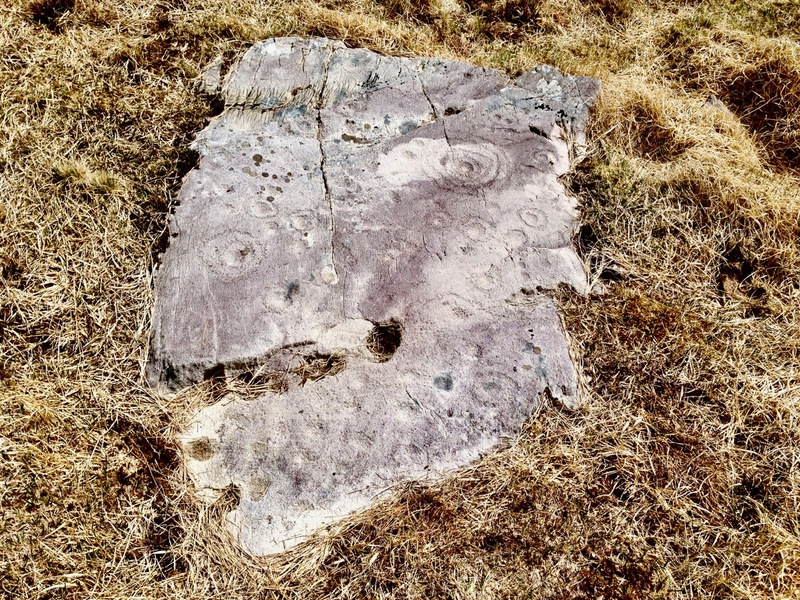 The holes in gravestones are an enigma – target practice for big guns? !